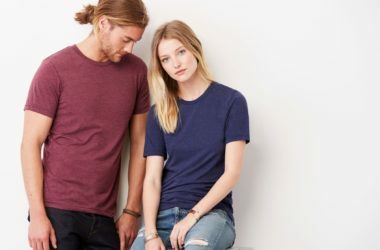 At Garment Printing, we’re always proud when we receive an order from a charity t-shirt company asking us to help them by creating printed clothing and accessories to help them raise money for their latest campaign and chosen cause. We have worked with many charities over the years and we’ve helped them to create successful campaigns at a cost which is perfect for them and this is something that we’re looking to continue doing in 2016 with the aim of helping every cause we work with become a successful one. Recently, we were approached by a charity organisation called ‘No One Is Illegal’. They are a campaign which has been set up to provide refugees who are travelling away from war torn countries with the correct provisions to make their journey’s as safe as possible. The aim of this initiative is to give people everything that they need to survive the harshest conditions which they have to face while they’re in the pursuit of a better, safer life for themselves and their families. Amy, one of the founders of the Forgotten In Idomeni group, has donated her own time and money to make this cause a success and she is now looking to further help and provide more aid through a mobile unit which will be fully equipped with WiFi, printing, outside seating, tea-making facilities, donation spaces and also the ability to provide legal information into hotspots throughout Greece, Turkey and the Balkan route where people are becoming increasingly at risk of smugglers and exploitation. Unfortunately, as is the case with most charities, the money and time which Amy and her team are donating just isn’t enough and, for this reason, she’s started a new campaign on funding site FundRazr.com to help generate more funds to cover the cost of this latest campaign. If you want to get involved you can by clicking on this link – https://www.fundrazr.com/campaigns/e15Y3a/sh/a5C9P0. All of the money that is raise through this new campaign will go towards paying for the vehicle, the batteries for power, fuel for the generator, supplies for printing, WiFi and phone create to provide people with up-to-date information, tea, soup and practical donations of small amounts of medicine and clothing where possible. It will also cover travel expenses to hotspots where the support is needed the most. It’s a worthwhile cause and any money that is raised can go a long, long way to helping improve the lives of many people. More than this, it can actually have save lives by providing a safe passage to a safer area. The money will also help to gather route information which has been updated and translated at the mobile unit. It also means that the unit is able to respond to people that are scattered around and not only those who are found at transit points. It’s designed to help people who are sleeping rough, squatting, attempting to risk journeys over mountains and being beaten back by border officers as well as many other things. At Garment Printing, we’re proud of the printing services that we’ve provided to help raise money through this brilliant cause. We were fortunate to be asked to create printed T-Shirts with the slogan ‘No One Is Illegal’. These T-Shirts are on sale now with the aim of raising additional money and awareness for the cause. T-Shirt printing is an excellent way of raising money and awareness for causes as it allows your supporters to make donations and also promote the name and the cause that you’re fighting for. It also shows the world that they support you and your efforts in fighting for change and that you’re trying to make the world a better place. 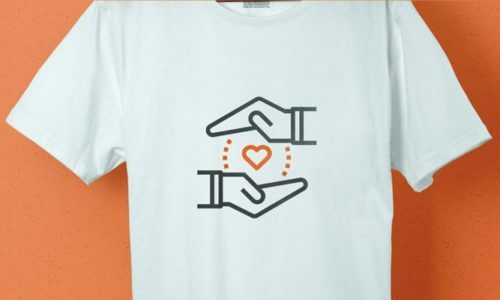 By having the slogan printed on the front of the T-Shirt, you’re raising awareness of your cause as everyone who you meet will see the slogan and they’ll have instant recognition of the charity organisation. So, if you’re looking to raise money for your next event or your charity cause – come to Garment Printing and we’ll help you turn your fundraising events into complete successes. We take care of our charity client like our charity clients take care of the world…let us help you make the world a better place. We also provide sponsorship opportunities to charities to help make the most of your money. We work closely with our clients to help promote your charity and, with the unique sponsorship opportunities, we can help raise your visibility. You can apply for us to become a sponsor by filling out our charity sponsorship form. If you’ve got a charity event coming up and you need help raising awareness, fill out our contact form and one of our design experts will be in touch. 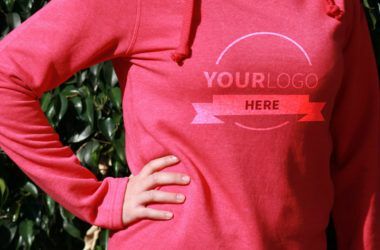 Garment Printing – Making the world a better place, one print at a time.